Trudeau confessed he's a victim of his own success. During the 2015 federal election, Trudeau promised big changes. 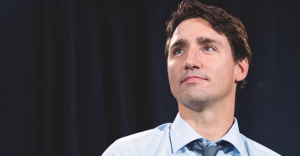 Despite Trudeau’s comments, electoral reform advocates are generally less “motivated” by narrow partisan outcomes than they are with creating a more balanced system that better aligns with democratic values. Canada’s first-past-the-post system is often criticized as a system that regularly produces distorted outcomes and a relic of the 19th century – nearly every Canadian election since the 1920s has seen a party who received less than 50% of the vote rewarded with 100% of the decision-making power. And on a riding-by-riding basis, 60.65% of MPs currently sitting in the House of Commons won their seats with the support of less than 50% of their local constituents. That amounts to a majority of voters left with representation that doesn’t reflect the votes they cast – a key problem electoral reform advocates seek to overcome by distributing seats proportionally rather than on a winner-take-all basis, better reflecting the will of voters. "They mean social engineering. Let's be clear about that." 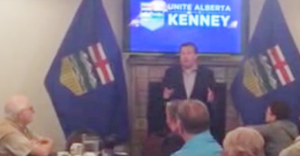 Why is Jason Kenney running for leader of Alberta’s Progressive Conservatives? Apparently one reason is that he fears what Premier Rachel Notley plans to do to the minds of young children, Kenney recently explained.